November has been a busy month for the movexperts at UW-Madison! We have been working very hard on planning for our upcoming winter workshop on December 9th. For this workshop we invited students from studios in the madison area as well as students from all over campus. We successfully have one of our faculty members to teaching at this event. This is important because it shows that our chapter has support from our faculty and it also gives our high school attendees an experience of what a college level dance class is like. This experience will be something that they won’t be able to get at their own studio. 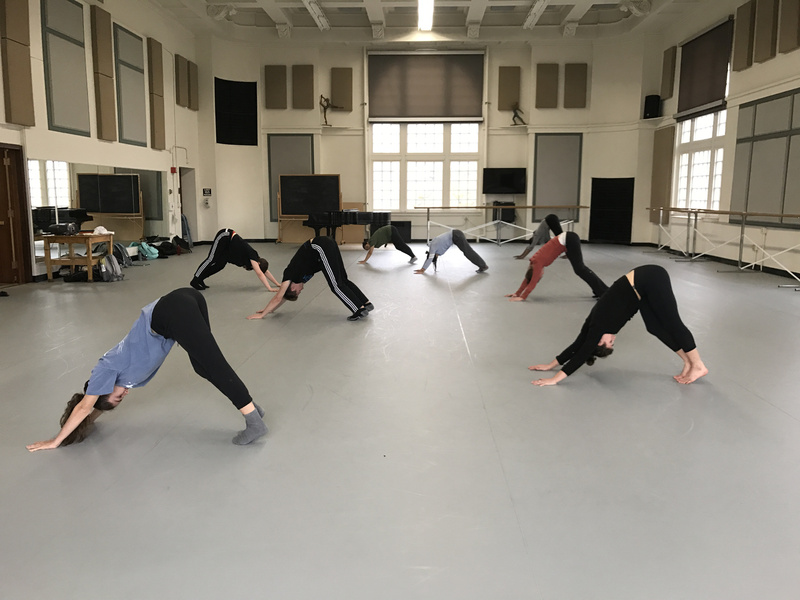 Our workshop will offer classes that cover a variety of movement disciplines taught by members of other student organizations on campus. We were lucky enough to get instructors from UW’s official club dance team, Dance Elite, and Hypnotiq hip hop dance crew to volunteer their time for our cause. We are also offering classes taught by certified yoga and pilates instructors. This makes our event special because these classes are usually very expensive to take but we are offering them at an affordable price. We are extremely excited to reach out and connect with movers from outside of our dance department and even outside of the university. We are very fortunate to have access to these historic spaces and the ability to share our time and movement with others. We are making history in the place where it began!